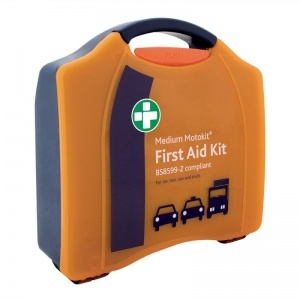 Having a first aid kit in your car is not only good in the event of experiencing minor cuts and scrapes, but could also be a potential lifesaver. 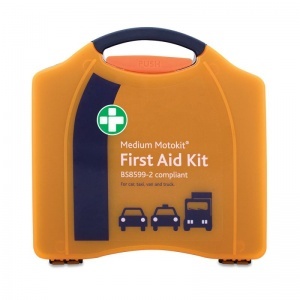 The Motokit Medium Vehicle First Aid Kit is the essential tool all motorists need to ensure safety for you and your passengers. 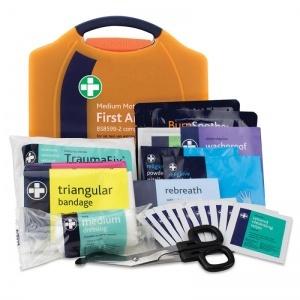 Industrial and medical professionals have come together to issue a new standard of first aid kits for motorists, based on research and accident statistics since the last model of kits designed in 1997. The kits have been created to meet the medical needs of road victims, even when a fully trained first aider is not present. 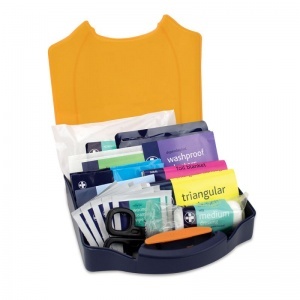 The contents of this kit are all compliant to the British Standard 8599-2, and come in a stylish Aura carry case fixed with safety brackets. The container is small enough to fit neatly in your car or van for easy access, should one or more of your passengers need attending to. The Motokit Medium Vehicle First Aid Kit is usually dispatched via First Class Royal Mail and delivery should be within 1 to 3 working days.